The Sugar Hill Inn near Franconia Notch, New Hampshire features an award-winning restaurant that offers a unique four-course meal in a romantic setting. 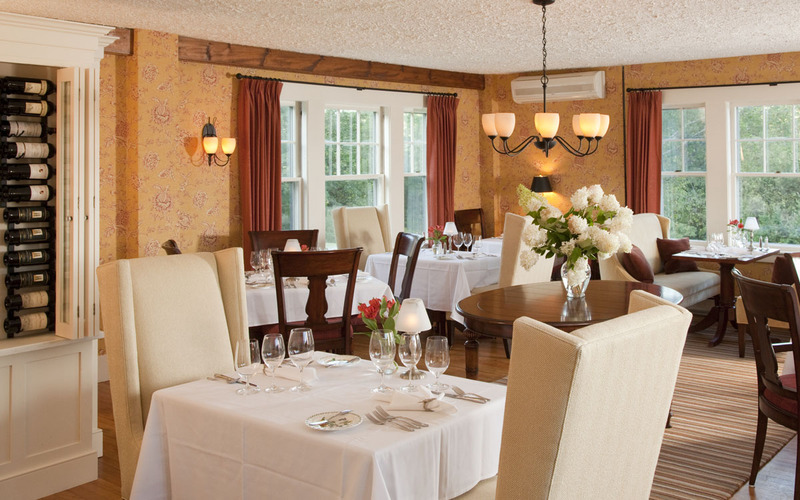 TruexCullins Interiors assisted the innkeepers of the Sugar Hill Inn with the renovations to their restaurant. The completely refurbished dining room includes wing-back chairs and a flexible central table. A custom casework display cabinet holds the Inn’s wine collection while screening the service area behind.